With two locations in Kansas, Hazel Hill offers twice the sweetness. 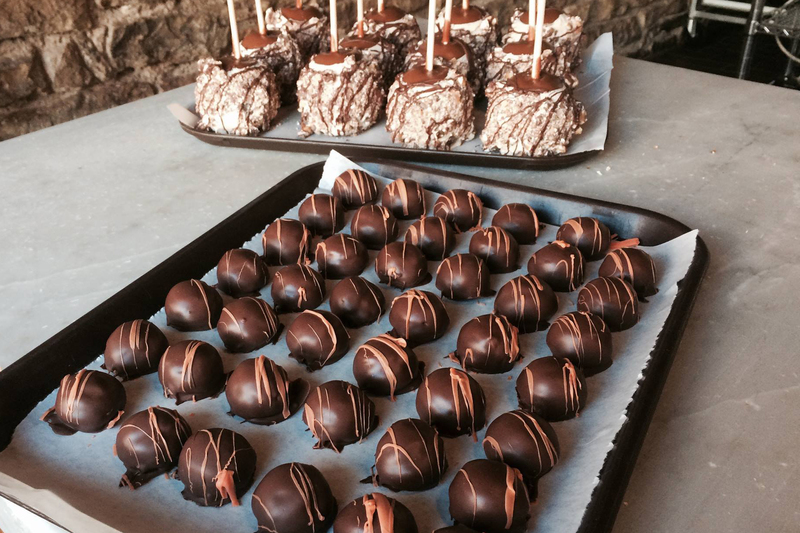 Handmade confections range from butter toffee popcorn to caramel apples and truffles. Made the old-fashioned way, in small batches you&apos;ll taste the craftsmanship in every bite. With an open shop layout, visitors can watch the masters of sweets at work. 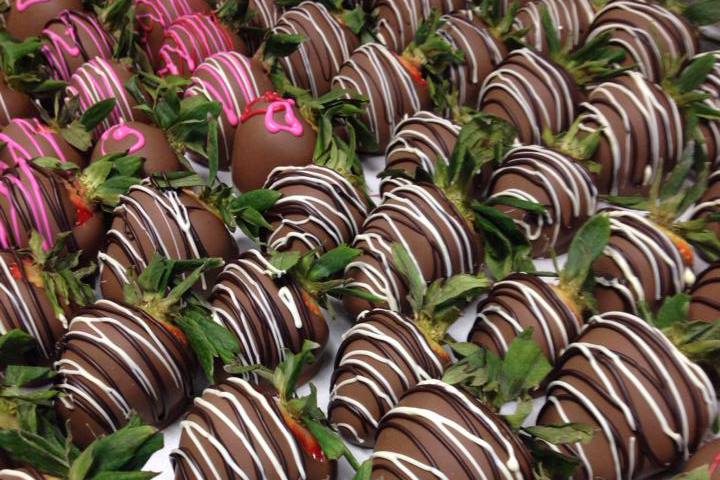 Based on previous Valentine&apos;s Day orders, Hazel Hill plans to dip, decorate, and sell over 40 eight-pound flats of strawberries. 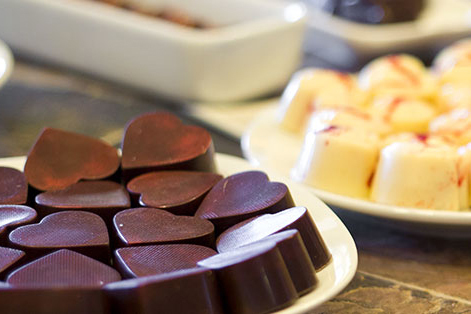 Since opening, Cocoa Dolce Artisan Chocolates has continued to raise the bar in the art of chocolate. Owner and Master Chocolatier, Beth Tully, created Cocoa Dolce to feed her passion - while feeding others delectably, exquisite candy treats. Offering 50 different confections, 24 artisan bar flavors, 10 single origin bar flavors, six fruit and nut bars, six flavors of hot chocolate, and six wine-infused flavors in addition to novelty items, there is something for everyone. 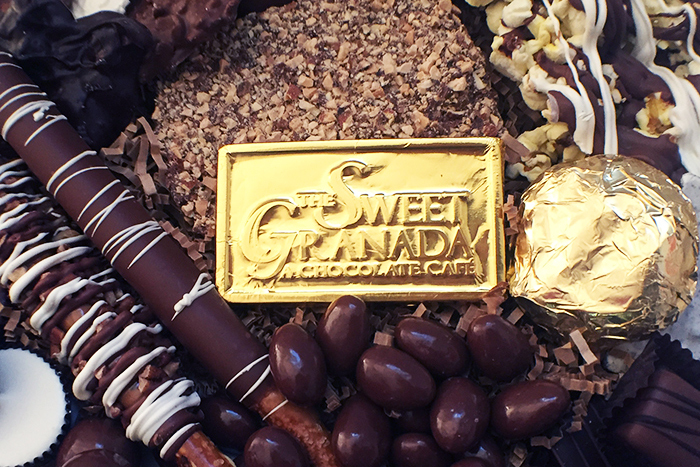 At Sweet Granada, chocolate is a family affair. In the heart of Emporia&apos;s growing arts and entertainment district located next to the historic Granada Theatre, mother-daughter owners Toni Bowling and Kim Redeker specialize in decadent fudge, handmade chocolates as well as other confections and gifts. Sweet Granada&apos;s most popular item are truffles, currently available in twenty delicious flavors, including espresso, German chocolate, cheesecake, dark mint and champagne. Before there was Hershey&apos;s chocolate, there was Cero&apos;s Candies. In 1885, Pete Cero began making his popular handmade candies in Wichita, now over 130-years later his recipes are still a hit with locals. Current owner, Pam Bishop says that without a doubt Cero&apos;s original caramel recipe remains a staple in the candy shop. Cero&apos;s provides gift baskets and candy assortment towers in all sizes.